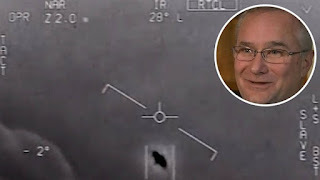 Top Secret: Spoke an American pilot who had a close encounter with the UFO: "I'm not crazy, I was not drunk"
Spoke an American pilot who had a close encounter with the UFO: "I'm not crazy, I was not drunk"
The pompous commander of the squadron David Fravor, a pilot with incredible recordings of a close encounter with the UFO that has been around the world for the past few days, spoke of his experience. 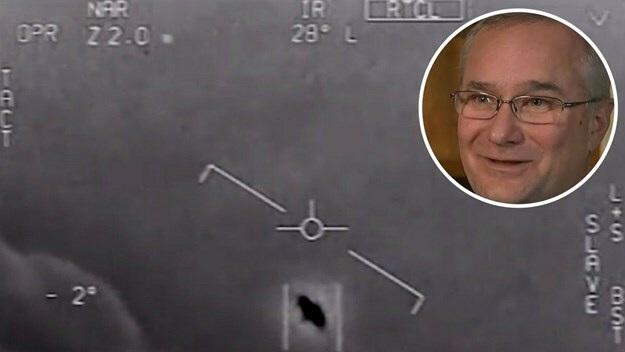 Although he spent 18 years in the US Navy, he said nothing could have been prepared for what he saw during the routine training mission on November 21, 2004, along the coast of California: "I can tell you that I do not think it was from this world. I'm not crazy, I was not drunk. That was, at 18, I saw more or less everything I could see in this field, and this was nothing close to that, "Fravor told ABC Television. Fravor recalls that he was driving his F / A-18 hunter on that sunny day in southern California when one of the naval inspectors reported a 12-meter-long oblique object that fell to a height of 24,000 feet and "immediately lifted again" . The flying object above the water did not leave the crevice "So we thought, okay, this would be interesting," says Fravor. As they looked for an object that appeared on the radar and disappeared, they noticed something weird: "We looked down, we saw a white bang in the water, as if it were somewhat below the surface, and the waves broke through it. But we saw it flying around, it was like a little white tic-tac, and moved around, left, right, back, back, randomly. " Likewise, an unknown object did not leave a rotor tip typical of a helicopter or a jet engine typical of the aircraft. Military planes dropped to the lower sea to investigate the object, which in the meantime began to imitate their movement before "accelerating rapidly, climbed above them and disappeared," Fravor says. "When he started approaching us, as we started to descend toward him who climbed, he flew in an elongated position, so he was like a tic-tac, with a round end that went ahead ... I do not know what it was, no I know what I saw. I just know it was very impressive, very soon, and I would love to fly in that, "he added. "No aircraft we know can fly at this speed" But when the planes embarked on continuing their training mission, the unidentified object reappeared. The other aircraft that fired from the USS Nimitz aircraft carrier captured the object on its infrared channel. The facility did not leave an exhaust trace on the infrared channel, and its speed was astonishing, Fravor says. "No aircraft we know can fly at that speed, maneuver in that way or look like that," commented ABC's former Marine Colonel Stephen Ganyard. Fravor says there is no rational explanation for what he and his colleagues saw that day: "I do not know if there is alien life but I will say that in the infinite universe, with the multiple galaxies we know, that if we are the only planet that has life, then it's a rather lonely space. Except for the story, it sounds a little unbelieving that there was no further investigation of this incident. "You know that you (as a pilot) will see many interesting things. 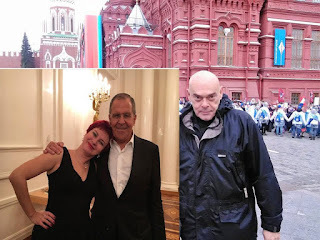 But to show you a 12-meter white tic-tac without a wing that can move in any direction it wants, hovering over the ocean to imitate it, to accelerate to the point of simply disappearing as , puff and no it ... ", still can not hide his disbelief this ex-pilot.